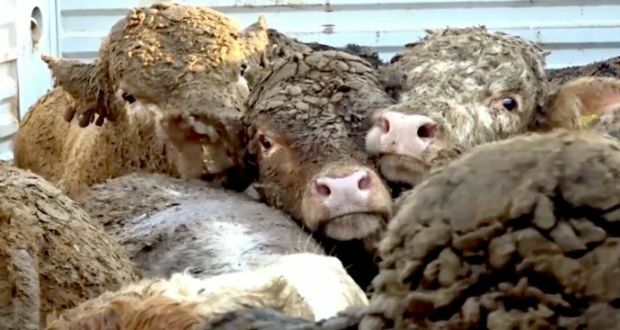 27000 bull calves shipped from Santos to Turkey for slaughter 05 February in dreadful conditions. Authorities let the ship sail 18 hours ago at 3 PM LST. This is the THIRD shipment without government intervention. The calves are shipped LIVE to Turkey to avoid paying a high MEAT tax. DISGUSTING behaviour by President Themer who gave his permission. Something must be done to stop this cruel sea-transport of ' live meat' on their own hoofs. After many days transport by road to the seaport of Santos, without food and water, it takes 5-6 days to load them onboard in 6 stories of cages before final departure for a 10-12 day voyage across the Atlantic and into the end of the Mediterranean sea, a total travelling time of around 3 weeks, without food and water. This is a horrific way to treat living beings just for the profit of cruel oligarchs. WHAT A SHAME FOR BRAZIL!! 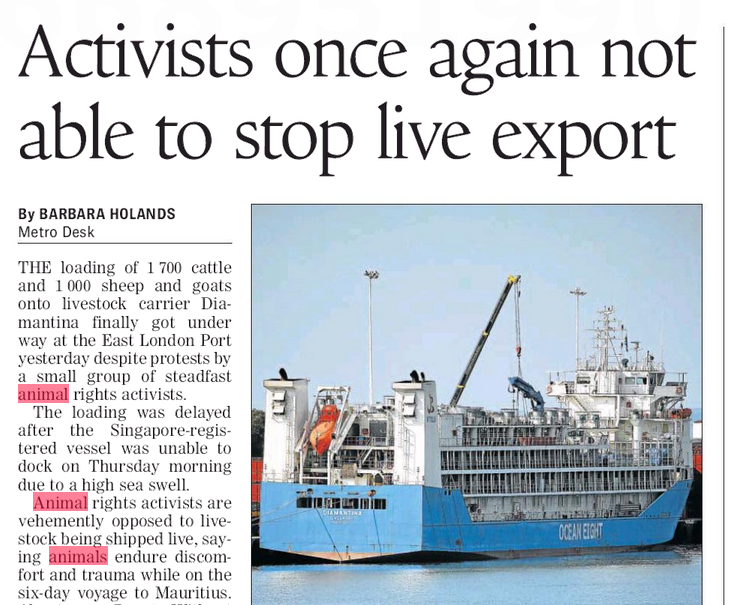 Millions of our sheep and cattle suffer unnecessarily during live export because of the unbearable conditions on board. The extreme stress, illness and injury the animals endure can go on for journeys of up to 35 days. Moving from live export to the chilled and frozen meat trade will protect millions of animals from needless suffering. Independent research shows that this more humane alternative will protect Australian farmers, the economy and create new jobs. This alternative is achievable and consistent with the responsibilities of government. Transitioning to a chilled meat trade is achievable and working to make this happen is consistent with the responsibilities of government. The overseas export of LIVE cattle, especially to Muslim countries, will create great losses in the not so distant future, as world wildlife organizations, economic supporters of wildlife and forests in Brazil, will withdraw their support in protest against the obvious cruelty of overseas transport by long passages on specially build ships with thousands of little cages where they are skidding around in their own excrements as the ship moves through waves and weather. This comes after an arduous transport by lorries from the ranches, which can take days. 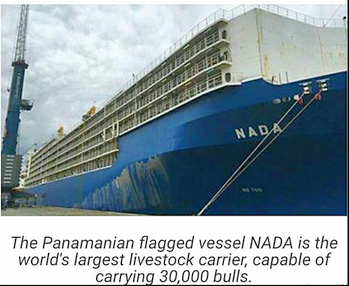 Not to mention the 5-6 day long delay in a Brazilian port to embark the cattle in up to six-story cage constructions via steep external ladders. The crossing, in all kinds of weather conditions and temperature, usually takes around 10-15 days of fear, discomfort and death. the overseas export of LIVE cattle, especially to Muslim countries, will give him great losses in the not so distant future, as world wildlife organizations, economic supporters of wildlife and forests in Brazil, will withdraw their support in protest against the obvious cruelty of overseas transport by long passages on specially build ships with thousands of little cages where they are skidding around in their own excrements as the ship moves through waves and weather. Halal slaughtering upon arrival in a Muslim country. 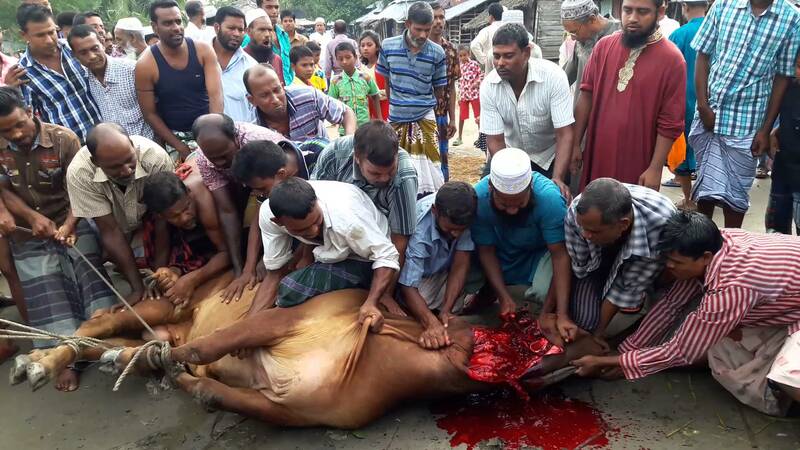 Culminating their suffering upon arrival in a Muslim port, there are further, gruelling road transports, and finally a heathen ´Halal` slaughter by cutting their aorta and carotid veins and windpipe with a sharp sword or knife device. A few will accept ´stunning´ of the cattle before cutting their throats, others not. With so many cattle arriving simultaneously, one can imagine the horror which is taking place. The Koran also demands all blood be drained before the meat is processed. Immagine the fear experienced by the cattle, viewing the bloody and gruesome faith of their brothers. 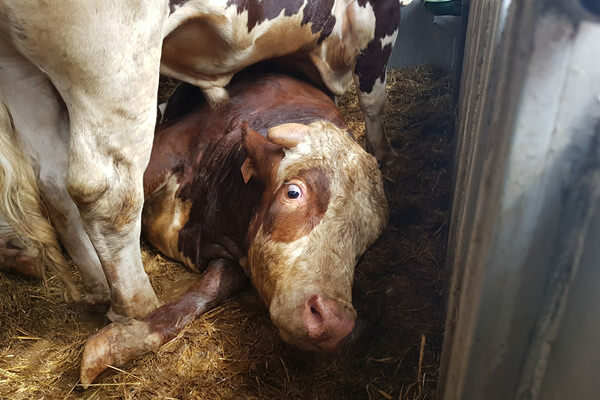 Although extremely profitable for the company, disbanding their responsibility for the cattle in this way is nothing but outrageous, and must be stopped at all costs!!! The bottom line is: The cattle must be given as short and comfortable road transports as possible to the nearest MODERN and properly equipped slaughterhouses in Brazil, where they will be humanely ´processed´ into FROZEN meat for further distribution overseas by refrigerated ships. We can not continue pampering to the Muslims in this way at the expense of cruelty and suffering of live exports. 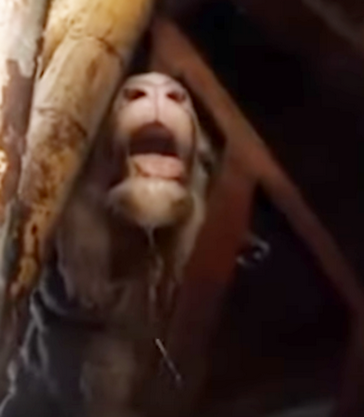 As civilized nations, consuming meat, we must at least ensure that the suffering of the animals is as short as possible. Exporting live cattle may be more profitable for the businesses involved, but Brazil is losing thousands of workplaces in the many existing and future slaughterhouses. By exporting all our raw materials to foreign competitors who will receive great advantages from cheap raw materials for their many export businesses, which again will kill our own markets in Brazil as we can not compete with the prices of goods derived from cheap labour in the exporting countries. One only has to look at the thousands of Chinese stocked shops all around Brazil, offering goods at prices we could never dream of producing in Brazil. Here again, we are losing thousands of jobs and opportunities. Reminds one of the American automobile industry in Detroit, once booming, now a ghost town, because the manufacturers in their pursuit of greater wealth, moved their production overseas, where cheap, underpaid labour was available. The result is now a virtual removal of the American middle classes, the rest living on loans they can never repay. We certainly do NOT wish such a future for Brazil. President Trump has realized this mistake and has already managed to relocate many foreign-located industries back to the US, which is already showing good results.